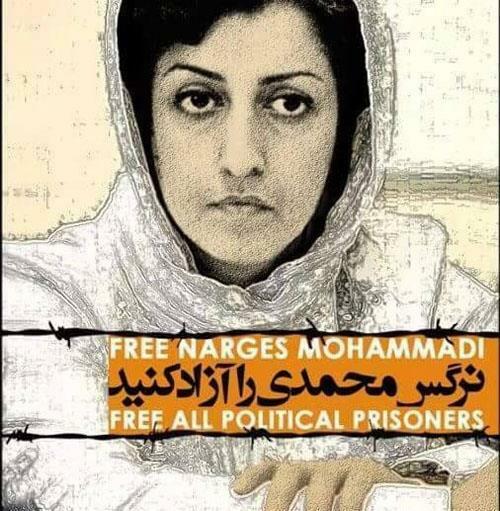 Reporters Without Borders, September 28, 2016 - RSF condemns a Tehran court’s decision to uphold journalist and human rights activist Narges Mohammadi’s ten-year jail sentence on appeal. Mohammadi’s husband, Taghi Rahmani, told RSF that the court rejected her lawyers’ appeals and confirmed the combined 16-year sentence that a Tehran court, under the ministry of intelligence’s influence, imposed at the end of trial in April that was marked by irregularities. Detained since May 2015, Mohammadi will have to serve 10 of the 16 years under a law adopted in 2015, according to which anyone convicted on several criminal charges serves only the sentence corresponding to the most important charge. Mayor Hidalgo expressed concern yesterday about the fate of Mohammadi, who was awarded the City of Paris medal on 3 May as a journalist and prominent defender of women’s rights.